In September 2015 Poundfield announced that we had been awarded our largest ever contract with a £2m order for decorative, reinforced concrete panels from County Durham based Hall Construction Services. The order was to manufacture thousands of individual pieces that would be used to construct over 2 km of a new Coastal Protection scheme at Hartlepool Headland. A project which was scheduled to take some 5 years to complete. We followed this story in the following February with an update after the project reached an initial milestone with the installation of the first 500 wall units and 1000 coping units on the top. Now a year later over 2,000 units have now been installed. 600 linear metres including copings and associated handrails have been fully installed with another 200 metres currently in construction. 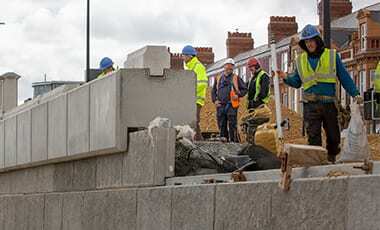 “The construction works remain on programme based around the 5 year development plan with the Precast Concrete components being delivered to suit our requirements. 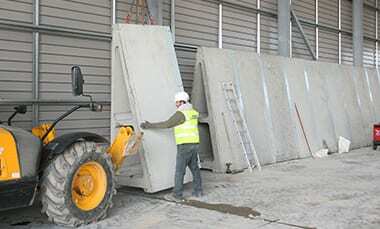 These include specially designed Bespoke Concrete units to suit the ramp areas and associated areas. Following recently storms that hit many Coast areas around the UK last month Hall Construction Services posted this statement on their social media along with some fantastic photos. 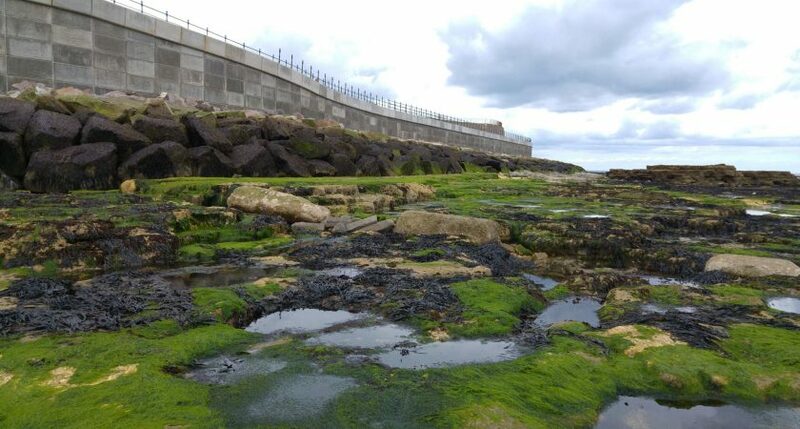 When warnings of a storm hitting the UK at the end of last week emerged it became a waiting game to see how well our new coastal protection scheme would hold out at Hartlepool Headland. Site Engineer Alan Gray captured some fabulous images to show you the sheer force of the tidal waves hitting the shore exactly where we have been working and will continue to work for the next 4 years. This scheme has come on leaps and bounds from the moment work began where the sea wall was a crumbling shell. There have been occasions previously where the sea has defeated us when the current was stronger than predicted but thankfully, as you can see in the images the wall has survived unhinged. 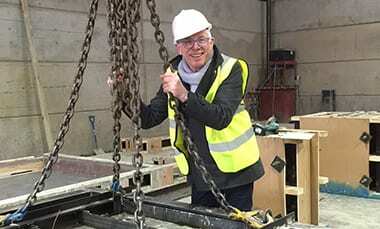 Some of these fantastic photos (plus some update photos) can be seen attached to this news article.